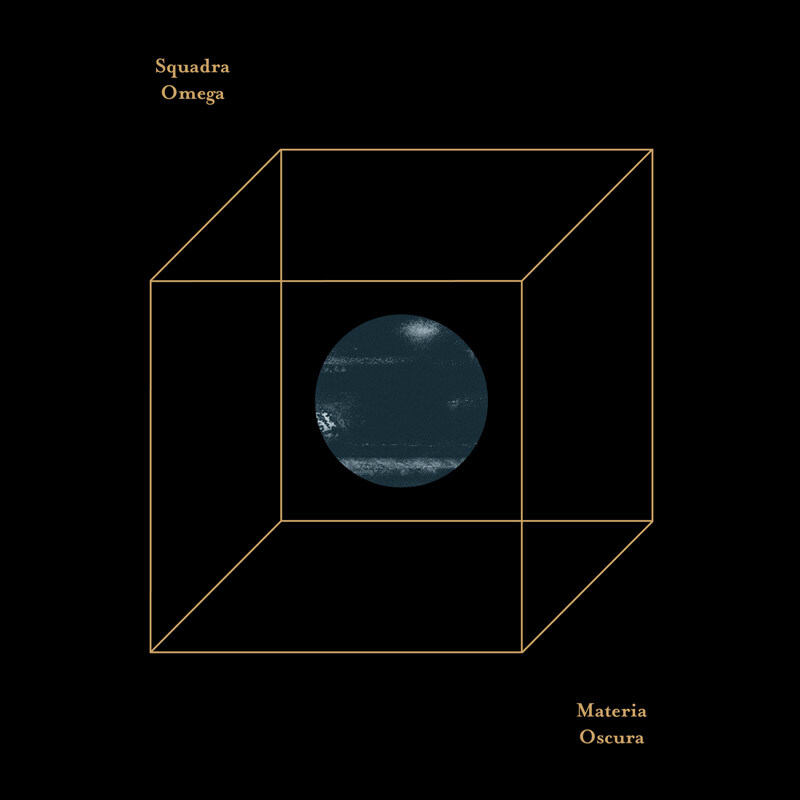 Squadra Omega is one of the bands which best represents the vast spectrum of the Italian underground. Psychedelic, avant-garde, jazz-rock, improvisation, kraut-rock, rock in opposition and ethno-tribalism blend seamlessly into the work of a collective that moves and expands depending on the urgency of the moment, focused around a core that rotates around the two members OmegaMatt and OmegaG8. In the band's wide discography we find compositional freedom, improvised jam-sessions in and a amplitude of references, all of which move between different spaces and times. Materia Oscura (Dark matter) offers a glimpse at the same time the soil of the "rock" matter as well as the alien, seen from multiple points of view, neighbors and materials distant and mysterious. Three tracks that stretch their eyes at Orient or Africa as well as into the depths of the cosmos, landing on the side of the art-rock of the '70s and towards some psychedelic, visionary, cinematic drives then explode into a real ecstatic trip. Inputs from Coltrane, Canterburian jazz-rock, Grateful Dead and Synthy-Space views are melted into free-form landings until they discover their own personal form of prog. Different Universes collide and coexist in the band in a constant mutation, maintaining faith in one single ideal: "music for the third eye”. The album have a thick carton cover with and central hole.